I have posted Tobin’s fine introduction, which places Ridge in the literary and political context of her time, with permission of the publisher Quale Press. By all accounts, the literary and artistic crucible of New York’s avant-garde salons in the 1920s composed a striking mix of personalities and sensibilities, and Ridge quickly assumed a prominent if often circumspect position in that world. In February 1922, she became the American editor of Broom. Edited from Rome by expatriate New Yorker Harold Loeb, Broom sought to be the foremost journal of its day— indeed, the journal of cultural note—publishing work by Alfred Kreymborg, Kenneth Burke, Robert McAlmon, Ernest Walsh, Gertrude Stein, Malcolm Cowley, and a host of other writers, a few of whom (like Marianne Moore, William Carlos Williams, and Hart Crane) would eventually enter the canon of American literature. Part of Ridge’s duties as American editor was to host a literary salon on Thursday afternoons with her second husband David Lawson, where the likes of Kay Boyle, John Dos Passos, Mina Loy, Glenway Wescott, Jean Toomer, Edward Arlington Robinson, Marianne Moore, and William Carlos Williams would read their work and discuss artistic and literary trends. “We had arguments over cubism that would fill an afternoon,” William Carlos Williams recounts in his Autobiography.12 For her part, Kay Boyle observes in Being Geniuses Together that Ridge inspired sharply divided responses among those attending the salon. For Boyle, Ridge’s commitment both to the poor and her art brought her near to sainthood. “I cherished and protected her as if she were a small bright flame,” Boyle recounts. 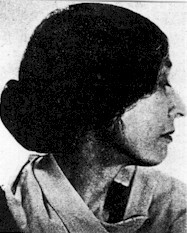 “Her work expressed a fiery awareness of social injustice as eloquently as Emanuel Carnevali’s or Maxwell Bodenheim’s, but it was always Lola’s voice that spoke, a woman’s savage voice, not theirs…”13 In contrast, by Boyle’s own admission, Robert McAlmon “had little sympathy for Lola’s earnest commitment to the arts and to the working class, a commitment so dramatized that people felt the necessity of either defending or abusing her whenever her name came up.”14 William Carlos Williams sums up the manner in which Ridge presided over the salon rather tersely and ironically but no doubt perceptively given the intensity of her social, artistic, and spiritual beliefs—“She made a religion of it.”15 Matthew Josephson, a would-be poet and associate of Harold Loeb’s, in his Life Among the Surrealists dismisses her time and again as “difficult” and condescends to her editorial abilities when he recounts that the European editors rejected most of the writers she recommended.16 Loeb objected to her “hair-trigger judgments and dogmatic opinions.”17 To be sure, it appears that Ridge was difficult in the way all passionate artists and social advocates are difficult when their sensibilities clash with those of others, and especially those in power. Ridge often took no salary for her work on Broom, and though Boyle often portrays Ridge haloed by the candle glow of sanctity she also avers to Emanuel Carnevali’s remark that Ridge “suffered with the snarl of a lioness… flinging itself madly against the walls of the ugly city…she is one of the most beautiful signs we have of women’s emancipation.”18 In short, it is probably true that for all their pretenses to modernity, Josephson, McAlmon, and Loeb were afflicted by a very traditional condescension toward the abilities of women—especially a woman like Ridge who, for all her modernity, clearly viewed the modern world of urban blight, poverty, and the progress of capitalist machine culture in a drastically different light. In a famous phrase that has curiously come to define his own personal life more than the modern world he sought to describe, T.S. Eliot observed that our world suffered a “dissociation of sensibility,” a split between intellect and emotion that the modern poet needed to overcome.19 For Eliot, as for his fellow expatriate Ezra Pound, the modern world was a shambles. For Pound, this meant that the strong hand of Fascism became a necessary evil in order to restore an imagined golden age of Art and Culture to be appreciated, like all true art, only by the few. For Eliot, in addition to his political and cultural conservatism, it meant embracing an insular version of faith verging on quietism and requiring the renunciation of “strange gods,” including the modern world’s inevitable tendency to mix communities and races. At the root of Pound’s aesthetic elitism is the need to make a religion of Art—“O bright Apollo…/What god, man, or hero/Shall I place a tin wreath upon!”20 Read in the light of Pound’s embrace of Mussolini, these lines from “Hugh Selwyn Mauberly” are prescient in their irony in more ways than the poet first intended. For all his learned recoveries and translations from Homeric Greece, to Troubadour Provence, to T’ang China, Pound’s foraging of the cultural past betrays his desire for aesthetic “purity control,” an impulse that could not be further from the cultural mélange of the Lower East Side. Eliot’s genius also recoils from modernity, and eventually embraces an ideal of ascetic purity. In contrast, Ridge’s asceticism points her outward toward the defining “otherness” of her world—the teeming immigrant “ghetto,” which is nothing if not an incipient figure for the world we have come to inhabit in the twenty-first century. this is most extraordinary. we should become friends. whether you are One or many, i don’t care. This site, for reasons I cannot begin to go into has breathed relief and something unalterable within my heart. Thanks. I can only hope that i can persevere with protocol and ge this message through. most sincerely. Daryl Spears.